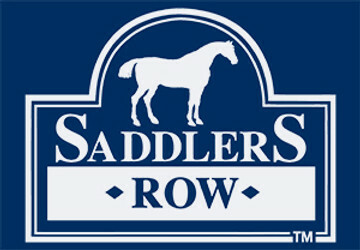 Let Saddlers Row prolong the life of your horse's wardrobe! We wash horse blankets, coolers, sheets, trunk covers, saddle pads, and stall drapes. We mend rips, tears, buckles, bindings, clips, and zippers on all types of horse clothing. Our staff shares 40 years of washing and repair experience, and because we're all horse owners, we understand your needs. Your horse blanket's worst enemies: MICE! Never, ever, ever store your blankets in dark, moist areas where rodents will make homes in them. Do not store blankets away when they're dirty. Blankets covered in manure, dirt, or urine promote mold growth and fabric deterioration. They also compromise the blanket's waterproofing. If you put duct tape on rips or tears, expect the repairs to be more difficult. Not only is the residue of the tape very hard to remove, it can make repair work a real nightmare. All items washed in natural detergent with no dyes, no perfumes, nor anything that will irritate your horse's skin. Our washing methods will not strip weatherproofing or breath-ability from the blankets. We return your blankets washed, air-dried, folded and placed safely in a zippered plastic bag. We offer free pick up & delivery to stables that are within 50 miles of our store in Palatine, IL. Please contact us for more details at 888/710-7171. For information about shipping your horse laundry to us, please call us toll free at 888/710-7171.